Oishii! Join us and indulge in a sumptuous Japanese cuisine! The best part? Meet and mingle with other dinner guests and have a jolly good time. 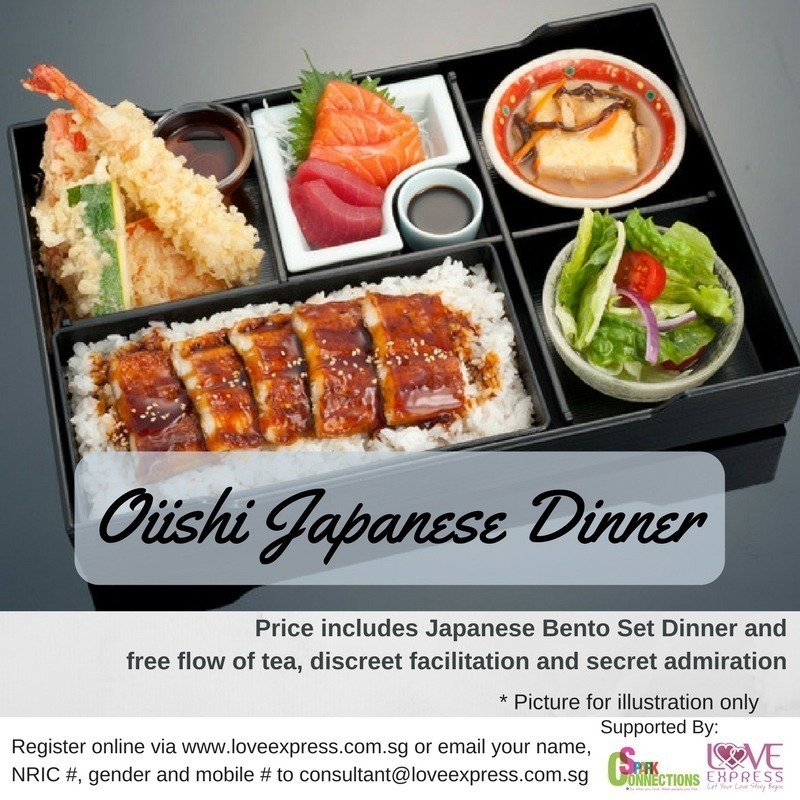 Price includes Japanese Bento Set Dinner and free flow tea, discreet facilitation, secret admiration (if there is a mutual match, contacts will be released to both participants) and matching.